Finally, we reaffirmed that the door to NATO membership remains open to nations that can meet our high standards. In Wales, there has been a sense that the belligerent faction of the NATO summit was winning through. It is all part of that two decades old debate about NATO enlargement. Do you take a run with the “NATO-firsters” or pitch in with the “Russia-firsters”? Hence the logic of expansion through incorporation. Naturally, this came hot on the heels on the economic argument. Integrate the region both in the security context, but also an economic and financial one. Bring the guns, and while you are at it, lashings of butter. This was evident for those who saw the Russian argument. A weak Russia might have little say, initially, about such a drive of integration on its doorstep. It would surely want to start shooing away newly admitted members to NATO as it recovered its strength. The proposals on the table at the Wales summit were considerable. Military initiatives are being extended to Georgia, Moldova, Jordan and Libya. More sanctions are on the cards against Russia. The summit also suggested that NATO is more than happy to bring its military forces within eye, and earshot, of a pensive Russia. The most notable feature of the planning, additional to increased air patrols over the Baltics and naval deployments, is the new “Readiness Action Plan” comprising the Rapid Response Force. Having suggested that such a force would be created, Obama was short on the detail about how it would be made up. For one thing, a permanent US component has not been clarified. While Associated Press claimed on Wednesday that Washington would “contribute troops and equipment” to such an enterprise, Obama has poured some water on the suggestion. NATO Secretary General Anders Fogh Rasmussen has been more forthcoming, suggesting that the force will consist of “thousands” of troops housed in various facilities. The snag here is that such a permanent force flies in the face of the NATO-Russia Founding Act (1997). The following passage is pertinent: “NATO reiterates that in the current and foreseeable security environment, the Alliance will carry out its collective defence and other missions by ensuring the necessary interoperability, integration, and capability of re-enforcement rather than by additional permanent stationing of substantial combat forces.” Planners are bound to circumvent this by a rather disingenuous formula: rotating troops. For Poland and the Baltic states, the agreement is a dead letter in any case. Russia, they argue, killed it. The central European narrative, one fearful of Russian interests and geopolitical stomping, has grabbed the imagination of the alliance. The forward line will shift to the Baltic States and to Poland. The former are noted for having large Russian minorities, a factor that has never been too far away from considerations. Alexey Pushkov, chairman of the State Duma’s international affairs, considered that such a “spearhead” force lodged in Poland would be a “more than unfriendly act”.2 Why not, he ventured, Turkey? Russia’s Vladimir Putin, moving his own chess pieces into place, attempted to take the wind out of the sails of the NATO meeting with his own seven point plan for Ukrainian-Russian peace talks which would have involved the Ukraine Contract Group. Kiev’s strategy, however, has been two pronged, stringing along negotiations with the Russians on the one hand (witness the Wednesday meeting), while also giving the courting signals to NATO by labelling Russian efforts insincere. These were noticed by Russia’s Foreign Minister Sergey Lavrov, who said on Thursday that statements by various officials in Kiev about joining the alliance were “a blatant attempt to derail all the efforts” to resolve the situation in Ukraine. NATO’s own response to the propositions from Kiev has been mixed, hardly an embrace of rosy excitement. In every NATO country’s planning staff is an awareness that placing Ukraine in the alliance’s orbit will be a salvo against Moscow. It will also place the alliance in that most awkward of situations – coming to the defence of a partner whose own policies might well provoke conflict with its large neighbour. 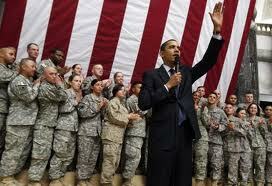 As Obama reminded his audience, “we have affirmed the central mission of the Alliance. Article 5 enshrines our solemn duty to each other – an ‘armed attack against one… shall be considered an attack against them all.’ This is a binding, treaty obligation. It is non-negotiable. And here in Wales, we’ve left absolutely no doubt – we will defend every Ally.” Flashpoints of possible Russian counter-strike and involvement, be it Ukraine, or, as transpired before, Georgia, suggest the risks member states will be taking if the door is further widened. Membership acts as an alibi for states to misbehave towards their own minorities (in this case, Russian), while inciting Moscow. It also places the troops of other powers on permanent loan. Conflict may prove inevitable, if the logic of the summit’s rationale is taken to its conclusion. Member states have made it clear that NATO is here, not to shrink, but to expand. The language of commerce is being interwoven with that of military readiness. If countries can make the grade, meeting what Obama terms “high standards”, a seat is open to them. NATO will become “the hub of global security”. If history, in its haphazard way, is any guide on this, hubs of security too often end up being aggressive generators of insecurity.